>Talking about something more fun, what's on everybody's SD card? Keep in mind there is a limit of around 1000 directories/roms/cd in the game list, so if you have more then 1000 entries, you'll need to split in several subdirectories. You basically replaced the 75 ohm on the output side with a 22 ohm instead of 0 ohm like you initially planned? Saves me from fixing up my cable, great! I've never gotten PCE Shadow of the Beast to work in emulators and never owned the original hardware. Can't wait for everything to arrive. This is the version my friends told me about in school that made me feel envious. I only had the version for Genesis. Time to put this to the test! Can you confirm yours is working when it arrives, Gojira? @nevdev - when are the tools going to be released to create preview tiles etc pls? So... we just order a standard Genesis cable from our favorite cable maker and the picture will be perfectly fine? I read through all of the suggestions being put forth but want to make sure I'm following. Please correct me if I'm wrong, but that's my understanding as well. It’s defintely a very close approximation to perfectly fine. My understanding is also that the output had been revised a 2nd time to work perfectly. And to be absolutely clear, it needs to be a model 2 genesis cable. MD2 cables are likely to have a capacitor in series with a 470 resistor on the sync line - the capacitor is not required. Will that capacitor have an adverse effect on the picture? @neodev I put in my order today, looking forward to getting it all set up. I've seen others ask for support for cue/img(ccd/sub) cd image files, but not any respons from you. Will that be supported or do those of us with such an archive need to convert our games? Hope you can squeeze in a fix and save us the hassle. Thanks for a very promising product! Cue+img is supported. Ccd is not supported, as there is only a parser for .cue files, but I think it's something that could be added in the future, just it's not in the initial firmware. If you have a ccd+cue+img it will work, as long as there is a .cue. 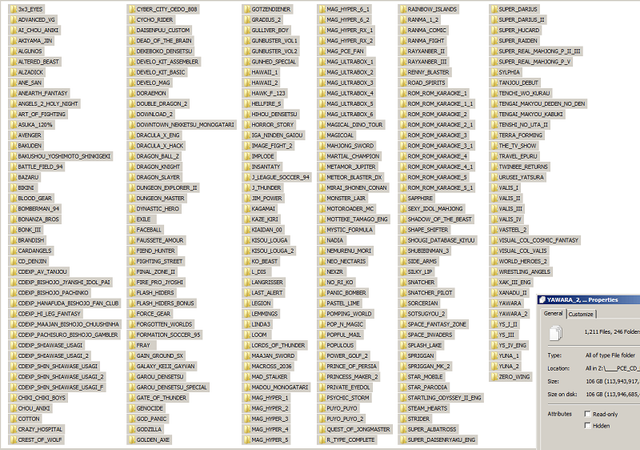 img are just the extracted cd data, as .bin, just with a different name. I've tried some dumps that have cue+ccd+img+sub and they work, just ccd and sub are ignored, only cue + img are used. About the cable, yes, a standard (and proper) MD2 cable will work. Output will be attenuated to proper levels. If your cable uses csync for sync, it needs the 470ohm resistor in the sync line (they already have if they are proper), if it uses composite as sync, it's just a direct connection (like mine). Excellent, I was hoping this would be the case, glad to have it confirmed. I'm all set for whenever it arrives. Muchos gracias! Gratulations on finishing the shells - looking good. What's that extra connector on the back of the PCB for ? Last edited by Fudoh on Wed Jan 03, 2018 8:25 pm, edited 1 time in total. Gratulations in finished the shells - looking good. It's just a programming connector. It's used to program the bootloader to the board when they are manufactured. Once the bootloader is programmed, it isn't needed as it can update from the sd card. Just watched the video, looks like the shells don't fit the last console you were playing with? Any plans on selling through Stone Age Gamer ? Would really prefer some kind of Paypal option. PAL Turbo Grafx, looks like it's too thick. Unfortunate. Yes, they fit. Look at the second video, the one showing the game loading. The fit on tg16 is tight because it's a bit more thick, but it fits. The shell looks absolutely stunning. I love it. It appears that the shell halves part slightly though and stress some of the screw connections holding it together, that's not a good fit. Doesn't matter to me as I've got a Core Grafx, but you're inevitably going to have a lot of unhappy customers unless you're upfront about it on the product page. Shouldn't be an issue when the SSDS3 has no official support for PAL systems..
Just got a shipping confirmation for my system! Slow down neosd, my cable isn't here yet Shouldn't matter much as I still have plenty of HuCard games to play with the SSDS3, CD-ROM stuff can wait a bit. I got an early delivery notification from UPS. Tomorrow.